Research suggests it starts with who you surround yourself with. Is self-control something you can acquire, like a new language or a taste for opera? Or is it one of those things you either have or don’t, like fashion sense or a knack for telling a good joke? Psychologist Walter Mischel’s famous results from the “marshmallow test” seem to suggest self-control is relatively stable and not easily learned. 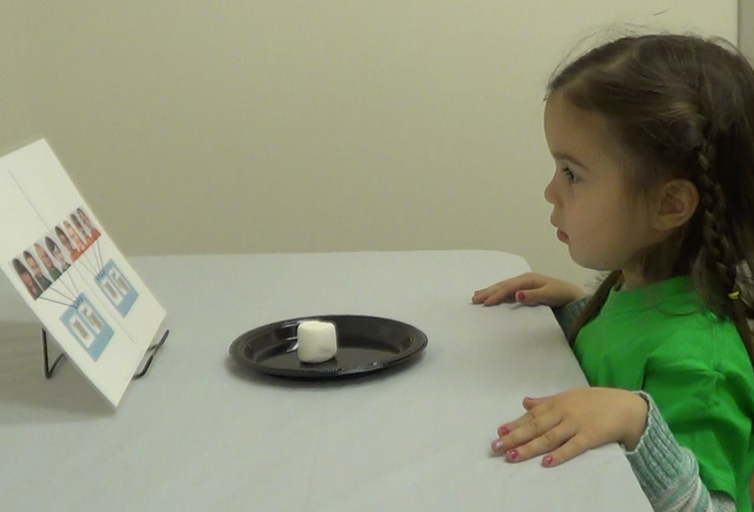 In this test, children sit at a table in an otherwise empty room and are given a choice: They can have one marshmallow right away, or, if they can wait for the experimenter to get more marshmallows from another room, they can have two instead. Most children see this as a no-brainer and opt to wait for two marshmallows. The real test is waiting. Children are left alone in the room for up to 15 minutes or until they taste the marshmallow. Children vary in how long they can last without sampling the delectable treat in front of them, and it turns out that the longer they wait, the better they will fare later in life – socially, emotionally and academically. Other tests find similar patterns. People who demonstrate more self-control in childhood are, as adults, healthier, wealthier and more law-abiding. Mischel himself has emphasized that children who showed more self-control used a variety of strategies that could be learned – like distracting themselves by singing and turning away from the marshmallow or distancing themselves from the marshmallow by imagining it as an inedible, fluffy cloud. A less optimistic view holds that children who were good at distracting themselves had more self-control to begin with, which helped them activate self-distracting thoughts and behaviors rather than fixating on the sweet treat in front of them. And although Mischel found that children could be induced to wait longer if they were taught these kinds of strategies, there’s no evidence that such experimental interventions alter children’s spontaneous self-control behavior outside of the lab. But don’t throw your hands up in resignation and reach for that second slice of chocolate cake just yet. A new wave of studies suggests that maybe self-control can be learned, provided that social forces encourage this learning. In a new study, my colleague and I found that children will use self-control if they believe others they identify with do. Despite enormous interest in improving self-control, researchers have had limited success (so far) in figuring out how to train for it. The general approach has been to target the cognitive processes – called executive functions – that support self-control. Researchers have children practice activities that activate these processes. Training can lead to some improvements on similar tasks, but typically does not generalize to other untrained tasks or outcomes. This is a real problem because a key goal of self-control training is to be able to transfer strengthened skills to real-world situations. My colleague and I wondered if group influences might be key. Maybe capitalizing on social processes like group values and norms could have a broader influence on self-control skill development. So we designed a study to test whether group behavior influences children’s self-control. A girl in the ‘green group’ works to resist the temptation of a marshmallow. We randomly assigned American preschoolers to a group – for example, telling them they were in “the green group” and giving them a green T-shirt to wear. Then we told them that their group waited or didn’t wait for two marshmallows. We also told them about another group (the “out-group”) that did the opposite of their group (the “in-group”). This step was designed to enhance their identification with their own group. Other studies have shown that this kind of procedure leads to in-group favoritism in preschoolers and adults alike. We found that children waited longer for two marshmallows if they were told their in-group members waited and that out-group members did not versus if they were told that their in-group members didn’t wait and out-group members did. Kids who were told their in-group members waited also lasted longer than other kids who didn’t learn anything about their group’s behavior. Why did children follow their group? In a follow-up experiment, we found that children whose group members waited subsequently preferred other nongroup individuals who waited for things like stickers, candy and money. This suggests children weren’t simply copying what their group members did. Rather, it seems that the group’s behavior influenced the value the child subsequently placed on self-control. We’ve since replicated these findings in another culture, finding that Japanese children will choose to wait for more stickers if they believe in-group members wait and out-group members don’t. Impressively, Japanese children still follow their group even if they are given reason to identify with the out-group. This research is the first to show that group behavior motivates young children’s own actions that involve self-control. Identifying with a group can help kids use and even value self-control when they otherwise would not have. These findings converge with other recent and classic findings that social forces influence self-control in children. Children will wait longer for two marshmallows if they believe the person dispensing them is reliable and trustworthy. Children also model other people’s self-control behavior. Even infants will work longer to achieve a goal if they see an adult try to achieve their own goal repeatedly. How do these findings of social influences on self-control square with the fact that the marshmallow test and others are so reliably predictive of later life outcomes? Do they mean that self-control actually isn’t stable? Not necessarily. You could just be someone who likes to wait for or save things (there are 3-year-olds like this, believe it or not), but this doesn’t mean your behavior in a given moment isn’t subject to social influences. Even young children will adjust their baseline self-control tendencies depending on the context, saving less when saving turns out to be disadvantageous. And social influences could, over time, play a role in shaping how much a person tends to use self-control generally. For instance, imagine a child grows up among peers who really value doing well in school and use self-control to complete homework before running off to play. Exposure to this group norm could influence the child to do the same. The idea is that the more you practice self-control, the easier it gets to use it. Repetition will strengthen the underlying neurocognitive systems that support these skills. So can self-control be learned? My answer is yes – what can seem like an inborn trait may actually be substantially influenced by social forces. Parents may be able to help kids build this skill by exposing them to role models (in real life or stories) who demonstrate and value self-control. Adults may be able to increase self-control by spending time around friends who use it. Ultimately, cultivating self-control as a personal value and norm may be critical to using and developing it, whether you are young or old. With a little help from your friends, resisting that second piece of cake may be easier than you think.